Product prices and availability are accurate as of 2019-04-20 18:00:40 UTC and are subject to change. Any price and availability information displayed on http://www.amazon.com/ at the time of purchase will apply to the purchase of this product. Automatic restart allows unit to be used with humidity controllers. 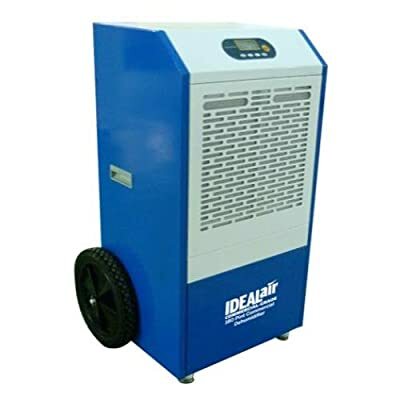 Easy to use digital display humidity readings, removable washable filter, 1 Speed fan motor, powder coated metal casing for long life & a heavy duty compressor. Built-in defrost system is designed for operation down to 45 Degree. set upright on their' for 3 hrs. prior to use. 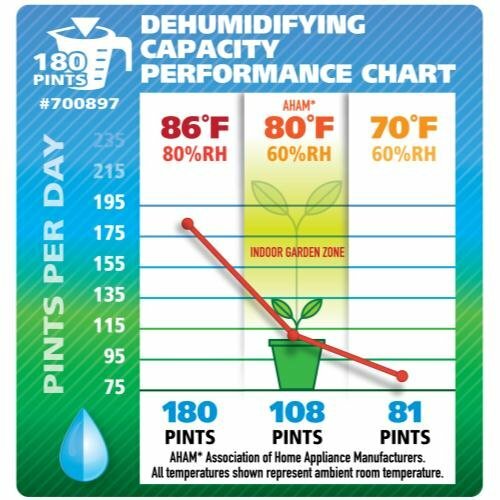 180 pint unit: temp. Range: 45 degree- 100 degree; H2O removal: (24 hrs.) 180 pint (86 Degree, 80% R.H.); power: 12 amps/1350 watts; supply voltage: 110v-1 phase-60hz; refrigerant: r410a. 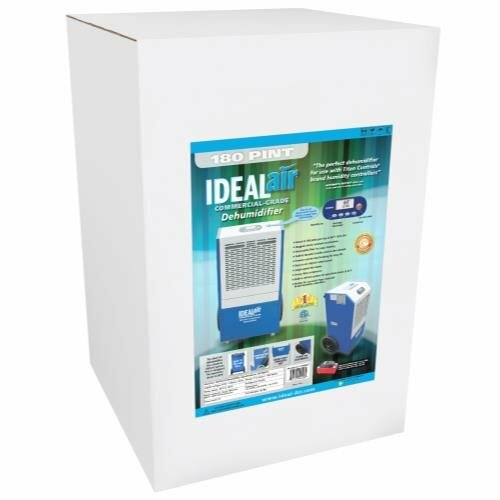 All Ideal-Air dehumidifiers need surge protection & a dedicated power circuit. In the event of a power failure, a spike in voltage may occur when the power is reinstated. This can damage the circuit board which is not covered under warranty.